One of the most intriguing stories in the ski industry right now is happening Idaho at Tamarack. After becoming the first major resort to open in more than two decades, the resort eventually filed for bankrupcy and closed in 2009, remained closed for the 2009/10 season, and then partially reopened in 2010. A few years later in 2015, Brad Larsen became the GM. Aside from an already interesting revival story, Brad’s marketing background at Sugarloaf and Telluride means that every move he’s making is influenced heavily by the message and marketing opportunities it creates. One of their first orders of business? Idaho Learn to Ski Day. We talk a lot about growing the sport, about the barriers to entry, about what it would take to get people on the mountain, about investing in things that address all of those things and more. Tamarack simply put their money where their mouth was and ate the cost of introducing 300 people to the sport. There are three things I love about this. First, it moves the needle. Doing the math based on current conversion rates means that 50-100 people have been added to our sport thanks to these efforts. Second, it really is the right thing to do. If we need people in our sport, offering a free lesson will expand the typical has money + prefers lessons + wants to ski circle so people that don’t check all three of those boxes still find a way onto our slopes. Third, it’s great a great marketing win and any PR coverage they’ve earned carries a very open, welcoming message to non-skiers. But perhaps my favorite thing about this of all is that second headline, because many of these lessons aren’t held at Tamarack, they’re being brought to the people. 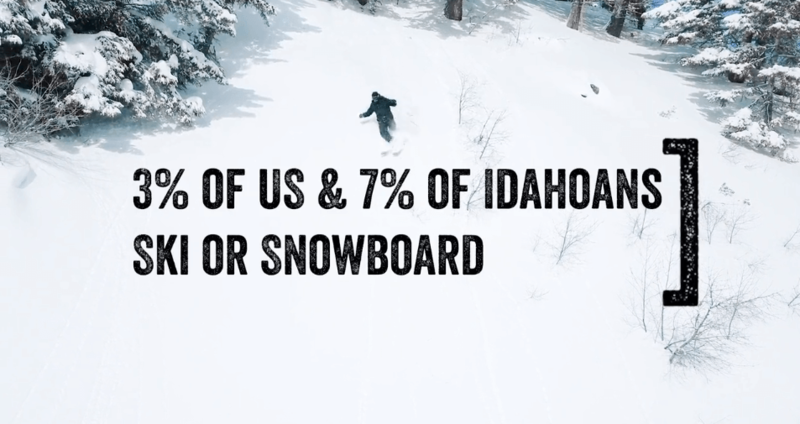 They’re offering them in a place much closer to Boise that eliminates the comparison to better skiers or fear of being run into or feelings of awkwardness or being out of place. Bringing skiing to them instead of telling them to always come to us is, in a word, brilliant. Absolutely, completely brilliant. There is a lot more I can and will say about Tamarack in the future, but for now I just wanted to highlight this small piece of a really cool story. Keep up the awesome work, Brad and team.